This is the most exquisite arrangement that brings innocence and a rush of love set to win her heart. The bouquet’s arrangement comprising of a mix of 18 red and white roses set along a lot of green fillers. A classic arrangement of flowers to send gestures of the defined friendship that would rekindle your relationship and begin a new love story. 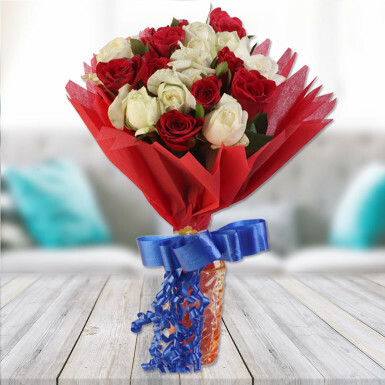 This bouquet is a perfect epitome to intimate your loved one that you are sure that you want to spend your life with her.